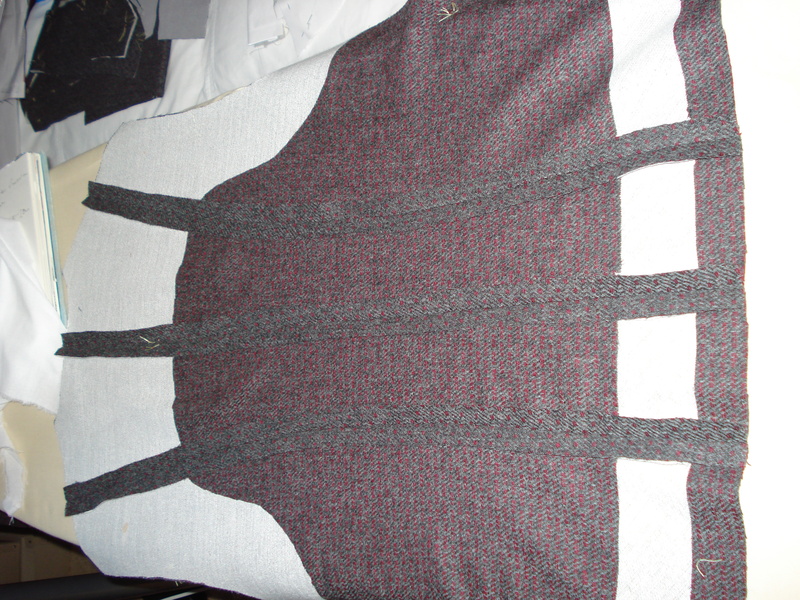 Soooo – considering I’m not a dress person, I have made a second Tea House Dress!! The first one is the pretty, summer party version, you know the type, only drinks posh edlerflower spritzers and eats cucumber sandwiches – with no crusts. This dress is very different. This one drinks tea and eats whatever she can find in the fridge, every day! I think it’s going to be a bit of a uniform of sorts! 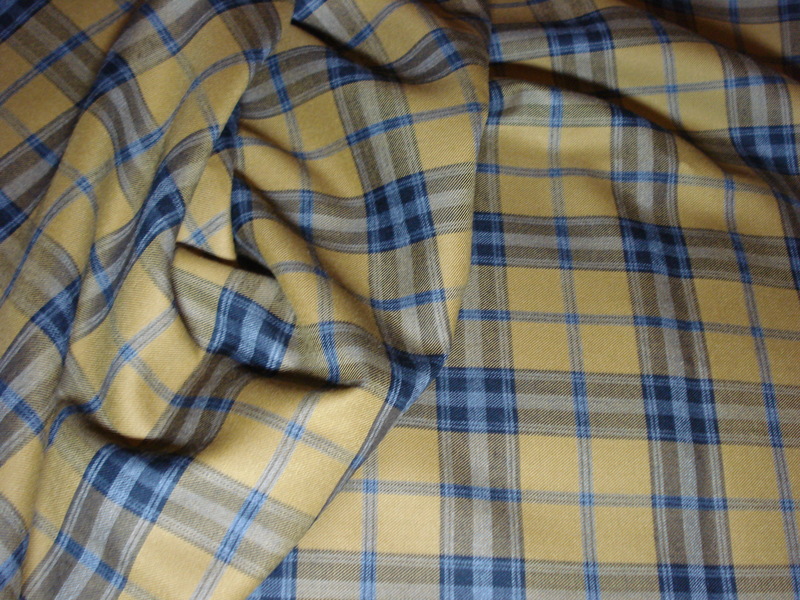 So, the fabric was purchased (yup, not even from the stash!!) from a local hospice charity shop, 3m for £7.50! 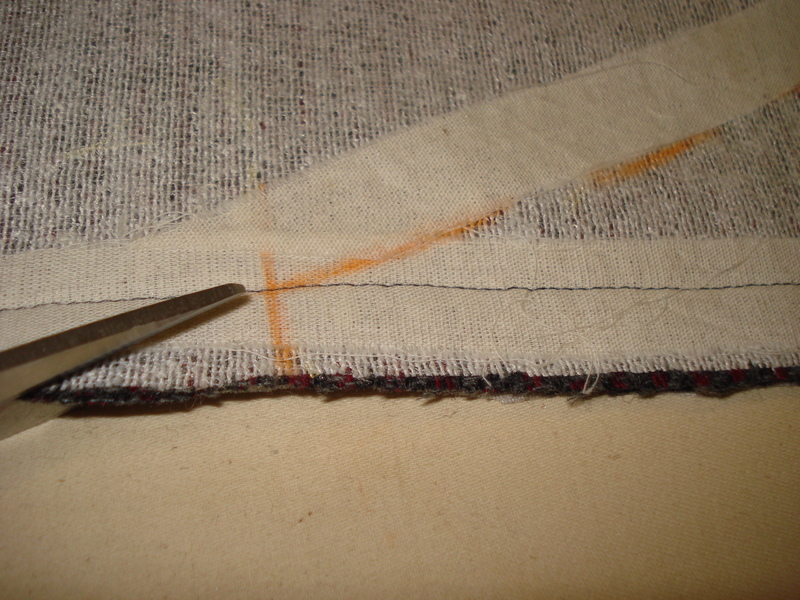 It was marked in the selvedge as Made in England, worsted wool. The ground is blue, with black, making teeny tiny houndstooths. They’re set within a brighter blue windowpane check. 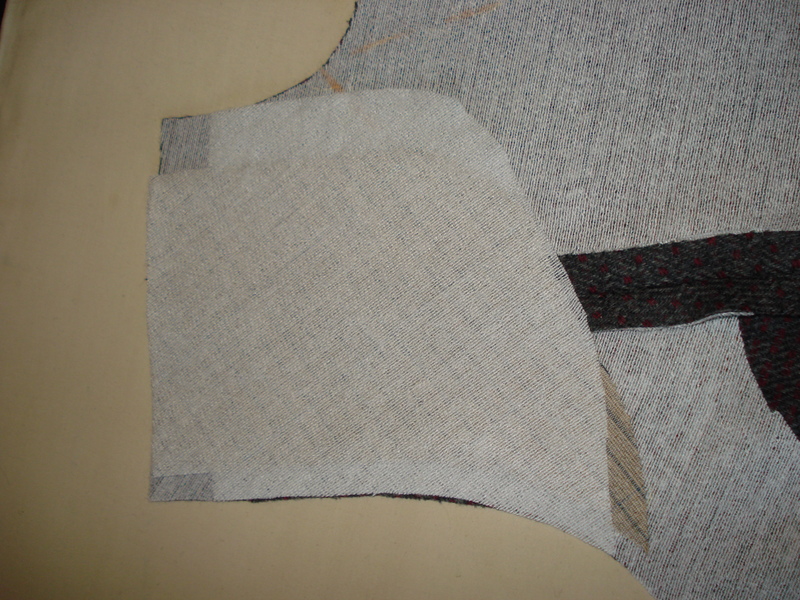 It’s a good weight suiting fabric, and soft. I threw it into the washing machine when I got it home from the charity shop on a woollen cycle with Ecover liquid. 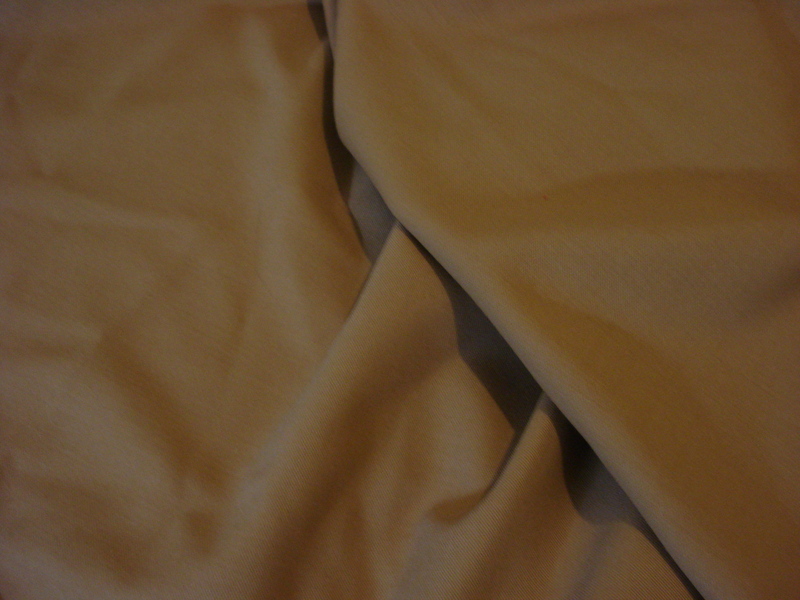 Washing hasn’t changed the texture or finish of the fabric at all, which is great as this will be worn a lot so will need to get used to being in the washing machine! I decided to make the shorter version of the dress this time, planning to wear it through the cooler weather with leggings or tights, booots/trainers and a long sleeved tee or even a thin jumper underneath. 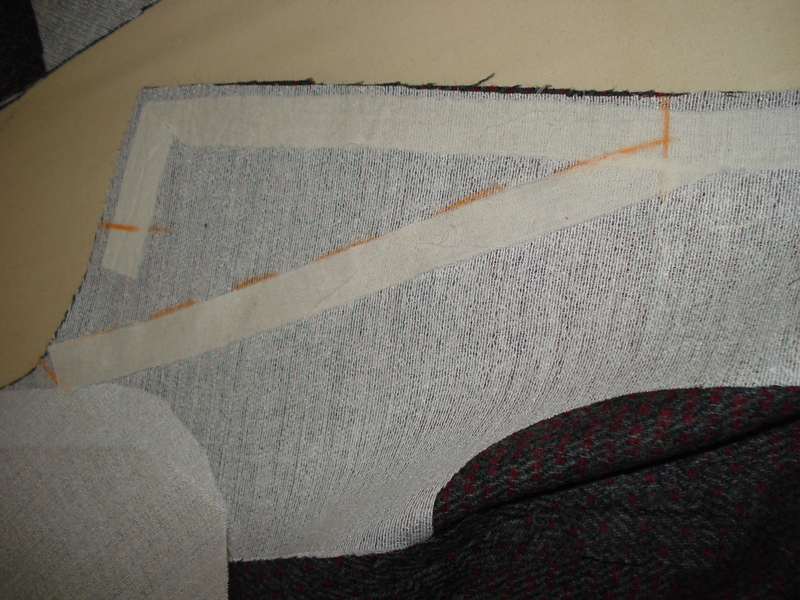 I also decided to do a slight pattern alteration. 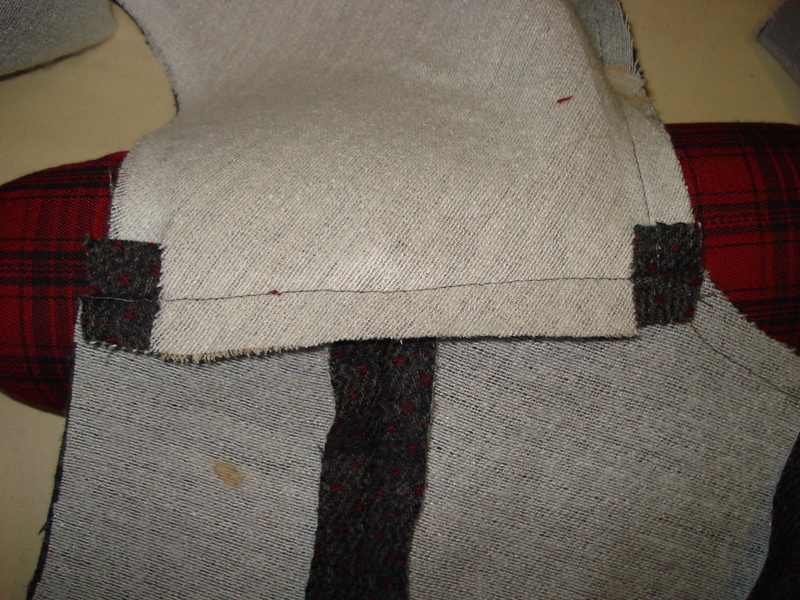 I lengthened the bodice along the lenthen/shorten lines by 2cm. I felt that I needed more depth over the bust, that the ties could easily be 2cm lower down and still work to give the illusion of a waist! I tried to make sure all the holizontal lines would line up around the body, and this worked a treat on the skirt and pocket pieces! 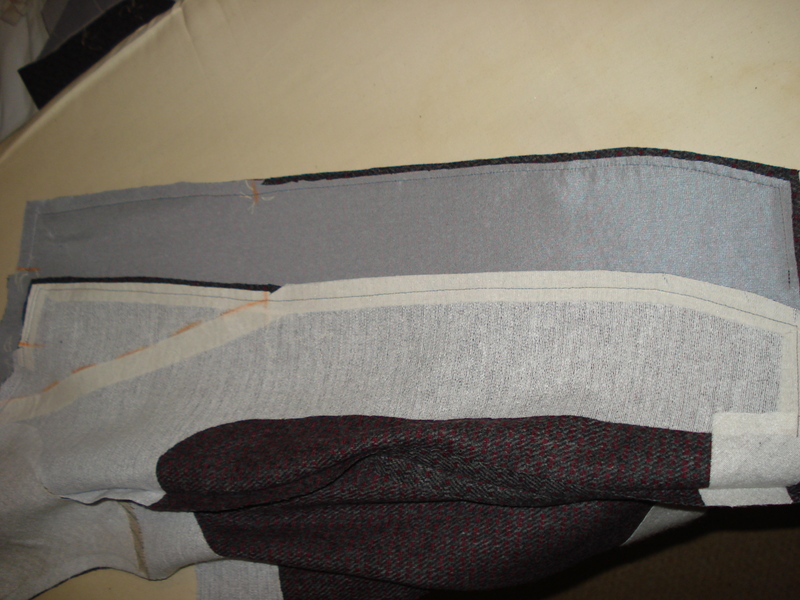 Not so good on the bodice… This is because I totally forgot about stripe placement when pinning and sewing the princess seams… It wouldn’t be that obvious if they were the same on each side, but I decided I could live with it. Everything else worked a treat, so this would do. 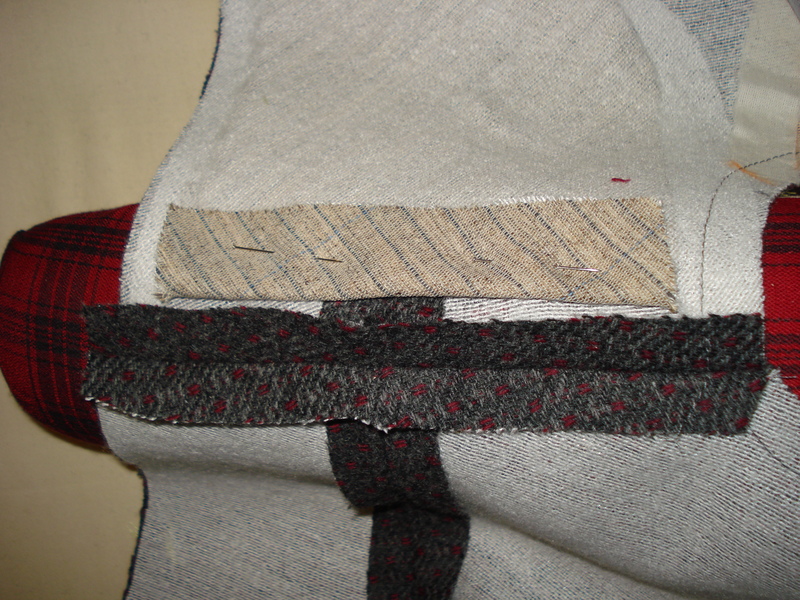 I overlocked all the raw edges before sewing because this stuff frayed quite badly. 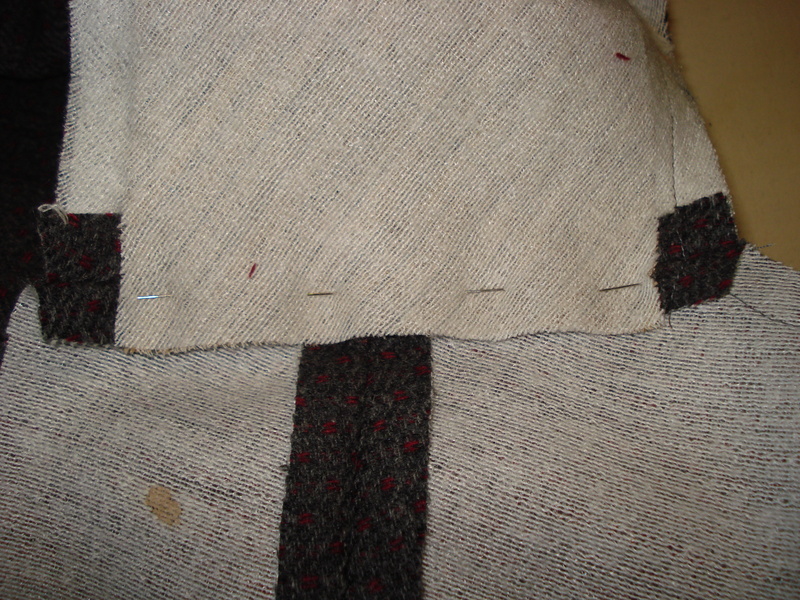 I was really pleased with the stripes on the pockets though. Using the alternative grain marked on the pieces, I made sure the stripes would be aligned and it worked! I haven’t got a photo where I haven’t got my hand stuffed in the pocket where you could see, but both vertical and horizontal stripes line up! Brilliant! Matching those stripes like a boss! I’m going to live in this dress this winter!